Headquartered in San Jose, California with a satellite office in Bangalore, India, Intacct Corporation specializes in the creation and distribution of online accounting software and financial management solutions for professionals and businesses. Notable Intacct clients include Mozilla, Meetup, WikiMedia Foundation, IndieGoGo, Guidewire, Voltari and others, and the company has over 8,500 customers. The company has been the recipient of numerous industry awards for its online financial management software solutions, including recognition from PC Magazine in 2012 as one of the 25 Best Small Business Apps. Intacct cloud accounting software includes all the functions you need to manage your business in a modular, online system. 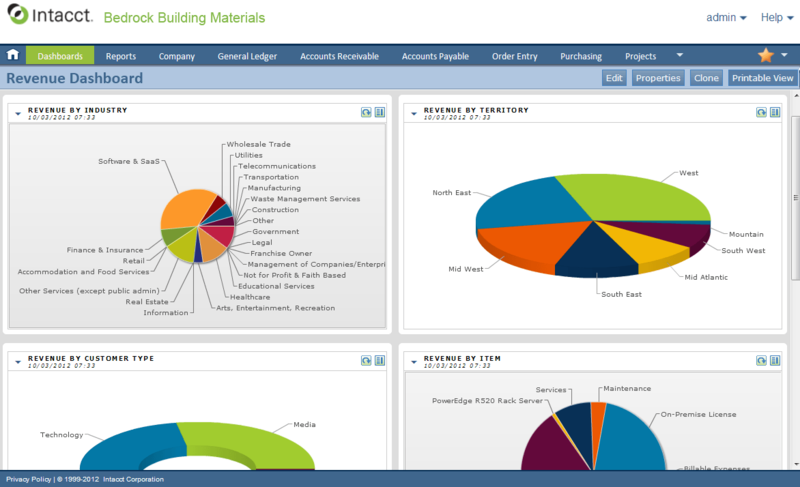 Available are general ledger, accounts receivable, revenue management, cash management, reporting and dashboards, multi-currency management and global consolidations modules, all of which can be used together within this integrated system. Intacct cloud accounting software can also manage orders, integrate sales team data, handle project accounting and calculate sales and use taxes. 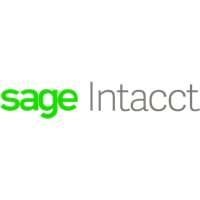 Additionally, Intacct cloud accounting software is the only AICPA-preferred cloud-based financial software, and this online financial management software solution offers real-time automation and multi-ledger accounting, eliminating a lot of the manual entry work found with other systems, making it a good choice for CPAs and other accounting and financial professionals. Pricing for this online accounting software is by monthly subscription, which includes all upgrades and enhancements, as well as technical support. Intacct cloud accounting software runs on both Windows and Mac operating systems and can be used on mobile devices, including Android tablet computers and iPads. Learn everything you need to know about Intacct Accounting. Our experts will reach out to you shortly.